At Cajun Moon, the newly opened Louisiana-themed eatery in downtown Petaluma, you can come face to face with a vicious green reptile in two distinct ways. First, you can find one on your plate, should you order up a mess of deep-fried, battered alligator chunks, made from real alligator (tastes like a fish trying to pretend it's a chicken). Second, should you sashay over to the restaurant's elaborate indoor diorama--featuring a stunning wall-sized mural depicting a sleepy bayou on a moonlit evening, complete with ramshackle shack and mysterious peering animals--you'll find a small herd of three-dimensional gators (like the one accompanied by chef/owner Levon Binion and Stephanie Cody of Cajun Moon) simulating a late-night romp through the swamp. You can touch them, but be careful: They know what you've just had for dinner. 205 Kentucky St., Petaluma, 707/773-4989. --D.T. Every 24-hour restaurant has its share of strange bedfellows. When everything else closes down at 10 p.m., necessity draws hungry people to the nearest feed station, regardless of their age, color, profession, or hygiene. But when two (or more) worlds collide, things can sometimes get downright surreal. Take the scene that unfolds most Thursday nights at the Lyon's on Farmers Lane in Santa Rosa. One side of the room fills up with the queer youth group, with butch girls and femmy boys spilling over the seats and onto each other's laps. On the other side, a long table of barbershop-quartet singers whiles away the time with sad, sweet harmonies that get annoying after the second song. In the middle of all this, members of some local Republican think tank polish off their wine and argue about the tip. Nearby, restless adolescents sneer or look faintly confused, but the connoisseur of human interaction simply smiles. 190 Farmers Lane, Santa Rosa. 528-9311. --M.W. OK, it's not on the menu--you have to ask--but even consummate carnivores will lustfully devour the vegetarian platter of delicious goodies offered at Dempsey's brew pub/bistro. Prepare for a heaping portion of vibrant tastes that has to be experienced to be believed. We recently tucked into a huge plate artistically piled and draped with spicy Asian coleslaw; mesclun green salad; crispy onion rings; char-grilled squash; whole roasted potatoes; an entire head of baked garlic with buttery cloves and fresh bread on which to smear it; a melange of sautéed zucchini, carrots, and red peppers; creamy mashed potatoes; basmati rice; fresh mango slices; and a small crock of thick, lightly spiced black bean chili--all for $11.95. This global mix of veggie delights really works--especially when you're swigging back a cold one. 50 E. Washington St., Petaluma, 707/765-9694. --P.H. Amecca of rooster-helmet wearing, chicken-toting artists, kids in baggy pants, and strolling tourists, the East West Cafe in Sebastopol has some of the most mouth-watering falafel this side of Iran. The menu, of course, is not limited to falafel; it boasts four pages of breakfasts, lunches, and dinners. East West's salads are always fresh, crispy, and organic, and their wraps divine. (The tofu-teriyaki wrap is especially recommendable.) In a county that prides itself on its eclectic mix of liberals and artisans, it's surprisingly hard to find some decent vegetarian, much less vegan, morsels. East West takes traditional Eastern cuisine and gives it a distinctively Californian flair, doing things with tofu and sprouts that just couldn't be done anywhere else. 128 N. Main St., Sebastopol. 707/829-2822. --E.L. The java-jerk uniform is more of an anti-uniform, defined by what it's not. That is, its complete lack of uniformity is the dress code, which is great for keeping things casual and giving us a little taste of urban edge. And yet sometimes one wants a bit of Old World elegance and service to match. Emporio Rulli is that place. The bustling little cafe in downtown Larkspur is justifiably known for its pastries (try the panforte, a sticky-sweet cake with no flour and lots of everything else), its mirrored walls, and some of the strongest and best espresso north of North Beach. 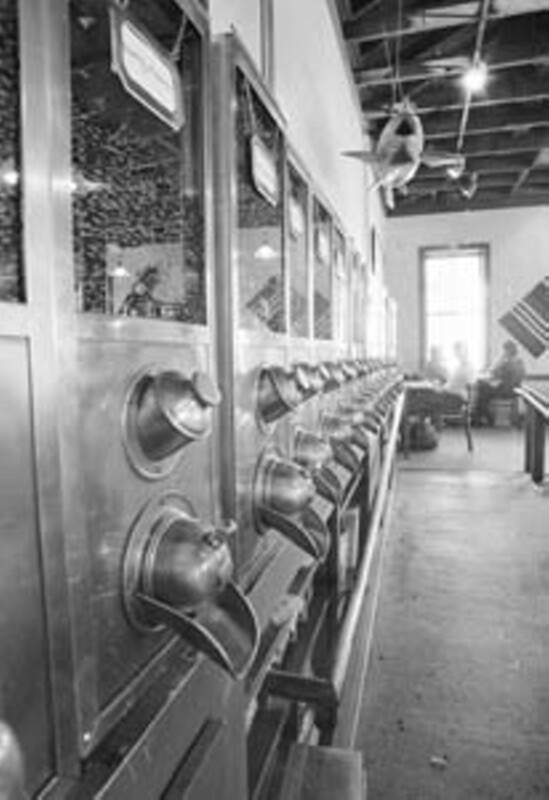 And no matter what time of day, the staff remain exquisitely polite and well-pressed: 10 triple lattes couldn't break the fold in the back of their starched white collars. Espresso without the attitude! 464 Magnolia Ave., Larkspur. 415/924-7478. --M.W. The supermarket is an American creation, a sterile, brightly landscaped freeway that displays food like a series of commercials. It is unlike markets in most other parts of the world, where advertising is less of a cultural imperative. For a taste of the exotic, take a walk down the narrow aisles of Mekong Market, located in the soon-to-be-face-lifted Roseland district. You won't find club card specials here, or produce that is misted every three minutes. What you will find is an odd cornucopia of items that, for the most part, are unavailable elsewhere. Like cans of jackfruit and jellied azuki beans; black, goose-pimply chickens with heads and feet still attached; purple duck eggs; Ziploc baggies of bean sprouts and lime leaves; and rice noodles in four different widths. The delicious rubs shoulders with the bizarre, and depending upon your sense of adventure, there's always something new to try. 1077 Sebastopol Road, Santa Rosa. 707/544-6201. --Y.B. 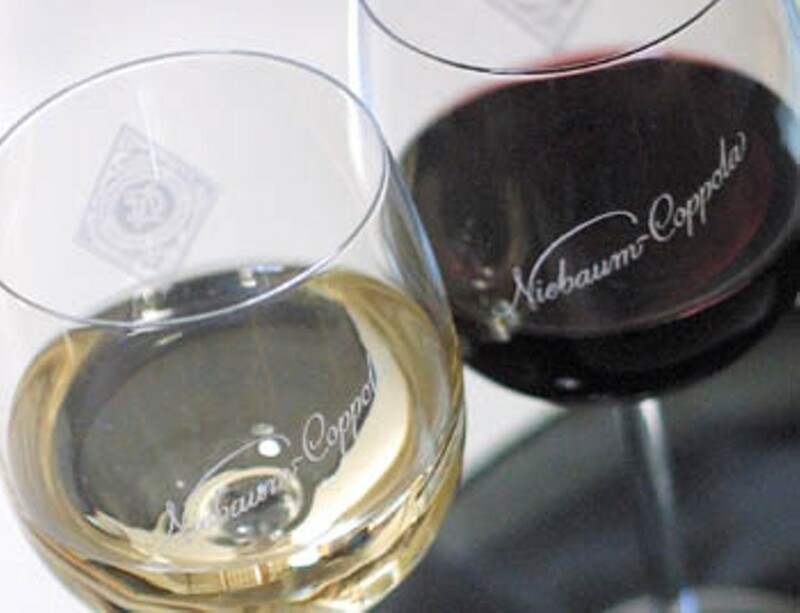 Well, technically, this glass isn't exactly free (you gotta pay a small tasting fee to nab it), but the wine at Niebaum-Coppola Winery is so yummy you probably won't be too peeved. What you'll get (besides several tastes of liquid fruit) at Francis Ford Coppola's facility is a perfect tulip-shaped, lead-free crystal goblet etched with a classy--not cheesy--logo of the Coppola insignia and signature. Go back a couple of times with friends and, voilà, you have the set! You can also buy 'em in the winery retail room at $7.50 a pop--but this is far more fun. Plus, while you're at the impressive winery, pop into the famed director's movie memorabilia exhibit on-site and check out an automobile from Tucker, Vito Corleone's desk from The Godfather, and several honest-to-God Oscars glinting glamorously behind their glass case. 1991 St. Helena Hwy., Rutherford. 707/968-1100. --P.H. For a movement that boasts a snail as its mascot, Slow Food has spread faster than you can say, "Now where exactly is that lettuce from?" Founded in Italy in 1986 in response to the encroachment of McDonald's and the rapid disappearance of local food specialties, Slow Food has since spread to dozens of other countries, among them the United States, where these same issues have been long in the making and short of attention. The ideals of Slow Food--which include organic methods, small production, and attention to a region's culinary history--found a natural home in San Francisco Bay Area. The first chapter, or convivium, in the United States was in the San Francisco, and the North Bay boasts six convivia of its own, which range from those on the remote roads of Mendocino County to a Napa group and three in Sonoma County. Recent Slow Food activities have included readings, seed swaps, watershed hikes, and a tour of the Jack London property, complete with a turn-of-the-(19th)-century picnic. An added attraction for membership is the semiannual journal, an engrossing read to be savored--how else?--slowly. Slow Food membership is $60 a year, $75 for a couple. Call 1/877/SLOWFOOD, or visit the website at . --M.W. In today's corporate America, it's not enough to run a profitable company; success is measured primarily by growth. That's why regular and barbecue-flavored potato chips have been joined by Cheddar, ranch, and sour cream-and-onion permutations. It's why McDonald's introduces a "New Tastes Menu." And it's why wineries introduce "second labels" and additional varietals. Lou Preston was not immune to the "bigger is better" syndrome, expanding his winery's product line and even changing its name to Preston of Dry Creek. But for Preston, who is as passionate about artisan bread-baking as he is about artisan winemaking, bigger was not better. Not long ago, he made the unusual decision to "grow smaller." He'll now make just about 5,000 cases of wine per harvest and sell the rest of his grapes to other (mostly larger) wineries. "We haven't exactly come full circle," he says. "Rather, the wisdom of our experience has moved us forward." Small can be beautiful. --B.J. Along with the three-pack of blue-striped gym socks, the box of family-sized laundry detergent, and the Cruisin' Car Tunes of the '60s cassette, you can now place an "exclusive" bottle of wine in your Wal-Mart shopping basket. Exclusive, that is, to the behemoth retailer that is partly responsible for transforming Main Street USA into a ghost thoroughfare. Wal-Mart has struck a deal with another giant business entity, E&J Gallo, to produce a line of wines dubbed "Alcott Ridge," available only at Wal-Mart stores. The line includes America's top-selling wine types--white zinfandel, chardonnay, merlot, and cabernet sauvignon--and is priced at around seven bucks per bottle. I tried the chardonnay and cabernet, and even though one is white and the other red, they shared two distinctive qualities: they taste rather thin and leave a lingering, unpleasant after-flavor. Of course, this is a brand and a line created not to satisfy the senses, but to meet a price point. That fact alone may not placate the palate, but at least at Wal-Mart wine purchasers get something they don't receive at the typical wine shop: a hug. --B.J. The ultra-chichi French Laundry may be just down the road, but a lesser-known restaurant is packing in those in the know with similar topnotch cuisine but slightly more accessible prices and reservation availability. 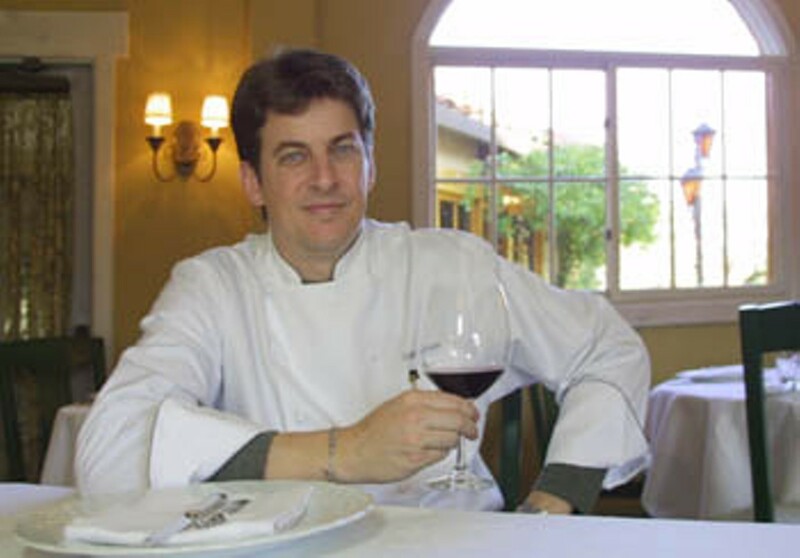 At La Toque, tucked away in Rutherford's Rancho Caymus Inn, Chef Ken Frank's elaborate wine pairing menus (which change daily) are chock full of riches like South Texas antelope with lentilles du puy and cabernet foie gras sauce, paired with 1997 Boeger barbera. The night we went, a special seasonal menu featured truffles in every course. Set in a comfortable elegantly rustic dining room with a blazing fireplace centerpiece and superb service, this is special-occasion eating at its most polished. The fixed-price menu is $72 for five courses, which includes food only, or splurge another $40 for wines specifically tailored to match each forkful. The kitchen also accommodates vegetarians, citing them as a pleasant challenge, and will come up with a specific tasting menu just for them. La Toque, 1140 Rutherford Road, Rutherford, 707/963-9770. --P.H. OK, OK . . . by definition, "real" port must come from Portugal, just as "real" champagne must hail from the Champagne region of France. But that's a topic for the intelligentsia of the world. For us normal folks, a port is a port is a port. And the local ports we'd like to drink in a storm come from Prager Winery and Port Works in St. Helena. These bottlings are about as atypical as port can get, made not from the politically correct grapes of Oporto, but rather from varietals such as cabernet sauvignon, chardonnay, sauvignon blanc, and petite sirah. Authentic? No. "Portlike" in every way? No. Tasty? Yes! Not to mention more wallet-friendly than the imported bottlings of Graham, Dow, Smith Woodhouse, et al. --B.J. The Dry Creek Valley is considered the Valhalla of zinfandel, and thus is home to countless exceptional zin vineyards. But of all the plots, minuscule or immense, devoted to zin, none measures up to the Maple Vineyard. Zinfandel grapes from Maple confirm the talents of established winemakers and transform competent vintners into stars. Several wineries have access to Maple Vineyard grapes, and two in particular make breathtaking wines from this special fruit: Gary Farrell and Armida. The intensity of the berry and pepper flavors will arouse even the deepest-sleeping of palates. In a perfect world, just as all maple syrup should come from Vermont, all zinfandel should come from the Maple Vineyard. --B.J. America's skid-row winos may be in for an image makeover now that there's a screw-top wine that sells for $135. That's per bottle, not per gross. As the story goes, black gold/Texas tea magnate and art connoisseur Gordon Getty, one of the owners of Napa Valley's PlumpJack Winery, didn't like the idea that a certain percentage of wines (not just PlumpJack's) were guaranteed to be undrinkable owing to tainted corks. The solution: eliminate the problem. Some purists may have been shocked when PlumpJack replaced cork closures with screw tops for 120 cases of its 1997 cabernet sauvignon, but most vintners weren't. Behind closed cellar doors, they'll tell you that screw tops are superior. At the same time, they feared that the public's perception of a screw top could compromise the perceived value of their bottlings. PlumpJack's bold experiment proved them wrong, and growing numbers of wineries will be replacing corks with screw tops in the future. By the way, PlumpJack's cabernet is mighty fine wine. But then, at $135 a pop . . . er, twist . . . it had better be. --B.J. Sometimes the best-laid plans go awry, and that cross-referenced week of menus winds up trapped in a bush in a rain-soaked parking lot. If you're lucky, that parking lot will be the one in front of G&G Supermarket. G&G, a fixture of west Santa Rosa for almost 40 years, has the requisite Froot Loops and toilet paper and frozen peas, but wake up and look around: you won't find this selection anywhere else. Obscure French cookies, good Italian cheese, seafood-flavored crackers from Japan, organic juice from Santa Cruz, and odds and ends from everywhere. Sometimes one wonders if the buyer isn't a little ADD. Actually there are five or six buyers in the flagship store of this family-run business (there's another, new G&G in Petaluma), and they all are really eager to stock what the customers ask for. The result feels something like a Middle Eastern bazaar, with clean floors and paper-or-plastic option. 1211 W. College Ave., Santa Rosa (707/546-6877); 701 Sonoma Mt. Pkwy., Petaluma (707/765-1198). --M.W. If the human race is one big family, cafes are our family rooms. At once confessional and chat room, office and assembly hall, cafes must be all things to all people, which requires a certain aural quality. Too loud, and you can't hear a person across the table; too soft, and you're afraid to turn the page on your notebook. A'Roma Roasters and Coffeehouse has the perfect ambiance: one part groovy sound system with an unpredictable mix that manages to be audible but not obtrusive, and one part coffee-roaster grind, strained through the high-beamed ceilings and humming fans for a strangely effective noise masker. A counselor could hold a session in here and not violate confidentiality. Don't get too comfortable, though. When that batch of Boxcar Blend is done, the decibels drop, and you might find yourself sharing with the room. And as comfortable as everyone looks, we're not that comfortable. 95 Fifth St., Santa Rosa. 707/576-7765. --M.W. The whole notion of "wine country" means nothing to recovering alcoholics, Mormons, or any other visitors who don't drink. That much is clear when you try to entice them into coming. "I know this cute little tasting room . . ." Faces are blank. "Oh, and the vineyards are just beautiful this time of year . . ." Nothing. "Um, the ocean's nice." If you're smart, you'll plan ahead and avoid the awkwardness. It's not hard. There's the whole west Sonoma County Farm Trail experience, with a stop at Kozlowski Farms. A trip along the coast offers multiple opportunities for crab and saltwater-taffy tastings. My family's favorite, though, is a visit to downtown Sonoma, for a stroll around the square and a visit to the Sonoma Cheese Factory. The Olive Press in Glen Ellen is a nice ending to the tour, oil sampling giving the basic experience of critical consumption without the boozy breath. Sonoma Cheese Factory, 2 W. Spain St., Sonoma (707/996-1000); Olive Press, 14301 Arnold Drive, Glen Ellen (707/939-8900). --M.W. If wishes were fishes, we'd have some to fry/ If wishes were horses, a poor man could ride. That's what my grandmother used to say. It was terrifying to a wide-eyed 6-year-old, but now I appreciate her homespun wisdom and I'm here to tell you that though I can't do squat about the horses, if your wish is for fish, paddle over to Cape Cod Fish & Chips in Cotati. Nicely crammed into a nondescript, hard-to-find, storefront hole in the wall near Sonoma State University, the place doesn't look like much from the parking lot. Once you step inside, however, and order up a platter of crisp and crunchy cod served with a smile from a friendly and eccentric crew, you'll be wishing you'd found this place sooner. 548 E. Cotati Ave., Cotati. 707/792-0982. --D.T. Not content with just turning out fragrant ovenfuls of organic sweets like coffee cakes, scones, cinnamon rolls, and her signature original chocolate beet cake, Beth LaFrance, a.k.a. Beth the Baker, has added Chicago deep-dish pizza to her tasty repertoire. The Sebastopol regulars of this cozy community-hangout bakery, which has been dubbed "Cheers without the booze," and hungry visitors couldn't be more pleased with the new addition of pizza. And what a pizza it is, boasting a super-thick and luscious pastry-like crust filled with an extra layer of creamy cheese and topped with savory goodies like sausage and fennel seeds or tomato sauce and mushrooms. Beth assembles the pizza, and you take it home and bake it for a few minutes until the cheese is melted and the crust is a deep golden brown. Breathe deep, don the oven gloves, and cancel that trip to Chicago. 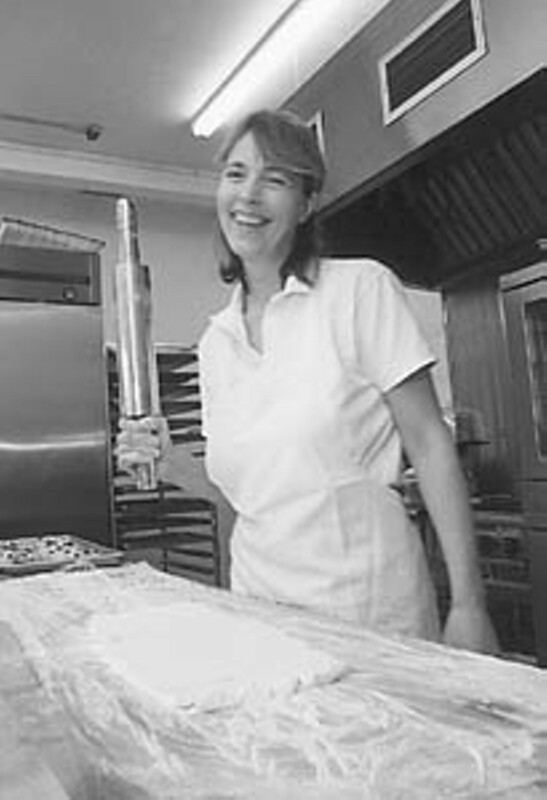 Beth the Baker, 171 Pleasant Hill Ave. N., Sebastopol, 707/823-1440. --P.H. In our neck of the woods, tea is more than just a steamy leafy brew in a china pot served properly at 4 p.m. with Devonshire cream-filled scones and cucumber sandwiches in Harrods' posh Tea Room. Take the Republic of Tea, for example. Headquartered in Novato, this well-steeped company sells more than 75 varieties of teas, herbs, chai, bottled iced teas, jams, and cookies in specialty food locations throughout the United States. Unusual tea-inspired products include unsweetened, nonalcoholic bottled iced teas--touted to pair well with different cuisines: Blackberry Sage with roasted fowl or gourmet pizza, Ginger Peach with pork and spicy dishes, Jade Mint Green Tea with Asian cuisine, lamb, and duck, and so on. The Republic of Tea's latest venture is a collaboration with Maine's Stonewall Kitchen to create a line of savory and fruity tea jams in flavors like cinnamon-plum and raspberry-quince, which contains hibiscus and rose-petal essence. The stuffy old cuppa will never be the same again. Republic of Tea, 8 Digital Drive, Novato, 415/382-3400. --P.H. 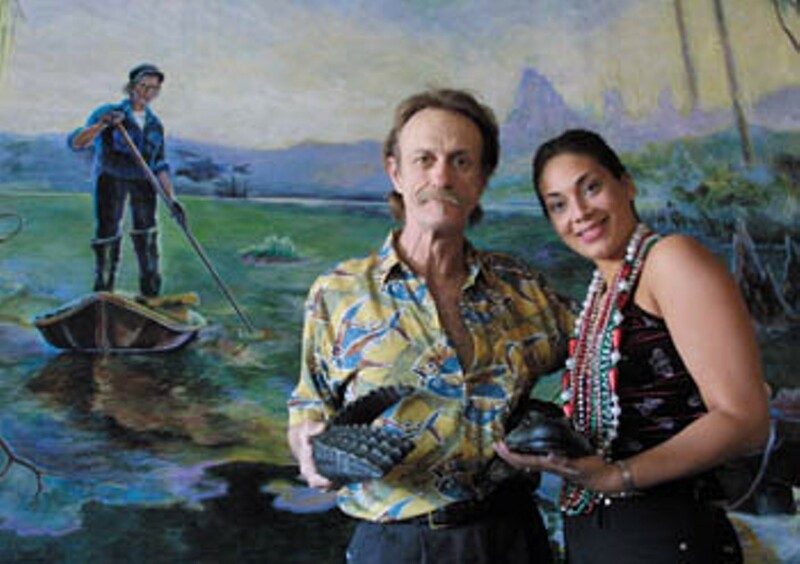 From the March 22-28, 2001 issue of the Northern California Bohemian.